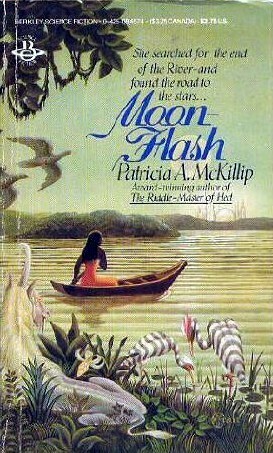 As you might expect from Patricia McKillip, this is a lovely collection — some of the stories are just beautiful, and her writing always is. ‘The Harrowing of the Dragon of Hoarsbreath’ is a strong point, as you’d expect from the fact that the collection is named after it, and I enjoyed ‘A Matter of Music’, ‘The Stranger’ and ‘Lady of the Skulls’, too. The lighter, more humorous ones like ‘A Troll and Two Roses’ and ‘Baba Yaga and the Sorcerer’s Son’ are still well written, but the tone doesn’t work for me. Mostly, it just doesn’t fit with the dream-like prose-poetry I expect from McKillip (and which she delivers, even with the lighter stories). It’s a nice collection, but not a favourite by any means. It’s one of those I’ll keep because I enjoy the way McKillip writes rather than because I particularly want to revisit most of the stories. This sounds like faint praise, but McKillip’s writing really is beautiful. This isn’t quite a retelling, but there are elements which look very like Baba Yaga, Ivan and the Firebird, and other such folk and fairytales. That said, it’s very much a book of its own which uses the magic of those fairytale elements to reflect on love and grief, and on struggles with oneself. The prose is lyrically beautifully as always, but less opaque than in some of McKillip’s other books — it seemed perfectly clear what everything meant, except perhaps on the point of Unciel and Gyre’s struggles. It’s also very full of people, real people whose troubles you can feel: a princess who doesn’t want to marry someone she doesn’t know, but goes in the end because otherwise it would spell disaster for her family — but she’s still scared; a prince who doesn’t want to get over the death of his wife and unborn child; a queen trapped in a loveless marriage with a man who might as well be an ogre, but nonetheless loves her son and serves the kingdom… a scribe who wishes briefly to ride off to save a princess, but in the end stays and does his job, and nurses an old wizard. They all have conflicts and fears you can relate to, and their desires are understandable despite the magic around them. Even Gyre’s desire for power makes sense. There’s some lovely lines, especially regarding the firebird, though the bit I liked best was when Ronan and Sidonie are together near the end of the book, and she’s drawn to him for protection. It just… rang true. And the parts with Unciel and Euan have a lovely quietness at times — it reminds me of some of the moments in Earthsea of just appreciating the world as it is. I enjoyed this one a lot, and read it very fast; I think it might be one of my favourites so far. It’s been a while since I did this feature round here! I’ve been meaning to resurrect it for a while. I think it started on Dreamwidth, but it seems worth having a weekly reflection on what I’m reading right now. 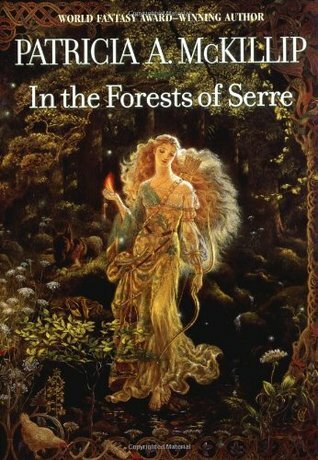 I just finished In the Forests of Serre, last night. It’s not exactly a retelling of Russian fairytales like Baba Yaga and Ivan and the Firebird, but those character types are in the story. I think it might be one of my favourites of McKillip’s books so far; while the prose is lyrical as ever, the story is a little less dream-like and follows quite logically. At least, most of it — I wasn’t as sure about Unciel and Gyre’s part of the story. I just finally started on the next of Tanya Huff’s Blood Books, which is Blood Pact. So far it’s okay; I’m sick to death of Celluci and Henry bickering over Vicky, but I’m intrigued by the zombie plot. I think it’s a little too obvious where it’s all going, but it’s an interesting take on it — almost more Frankenstein than zombies, and with a scientific background. I’m not sure. I’m still behind on my backlog reading goal, so it’ll be something from the backlog. I’ve been very tempted to reread The Lord of the Rings, but that’s definitely not from my backlog. That said, I’ve got some X-Men comics on the backlog, so I might read those for that and dig into LotR — it’ll save me from taking my boxset of the books back to my wife’s, because goodness knows I have enough I want to pack without those too. I don’t know why this book didn’t work that well for me; it’s very much what you’d expect from McKillip, magical and otherworldly and dreamy, written in her usual meandering, allusive, dense style. I just… didn’t really get into it that much, or follow the chains of events. I often have that problem with McKillip’s work, to be fair, so this is probably a very individual criticism; people who enjoy her style effortlessly will probably enjoy this just as much as any of her other books. For me, though… the story is compelling, and the style is pretty amazing — the way she depicts Saro’s thoughts, despite the fact that Saro doesn’t know how to speak, how to articulate in language, sticking close to what Saro is actually thinking/experiencing, for example. But other than that, I didn’t really get invested with the story, the characters; I felt oddly fatalistic about it. My attitude was pretty much ‘what will happen will happen’, rather than worrying about what might happen or trying to guess it, or even having any strong feeling about what would be a good or bad turn for the story. The problem is probably exacerbated by the fact that I’m writing this review quite a while after reading. 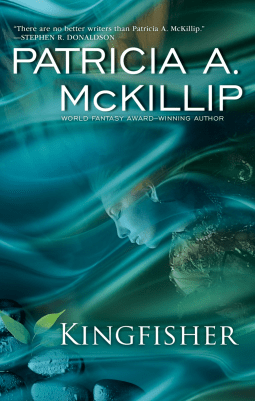 But it definitely wasn’t one of my favourite McKillip books; it was just too surreal, dreamy, disconnected, despite the quality of the writing. Solstice Wood is a loose sequel to Winter Rose, set a few generations later in the same place. That gives it a really weird feel, because it’s very much rooted in place and time, while Winter Rose could be almost anywhere, anywhen. I don’t really remember the same concrete sense of place about Winter Rose at all; perhaps because half of it was spent in the other world, but still. That felt untethered in time, and this really isn’t — planes, phones, worrying about reception. It feels realistic, and that’s odd compared to the narrator of Winter Rose and her unconcern for the barriers between what’s real and what isn’t. 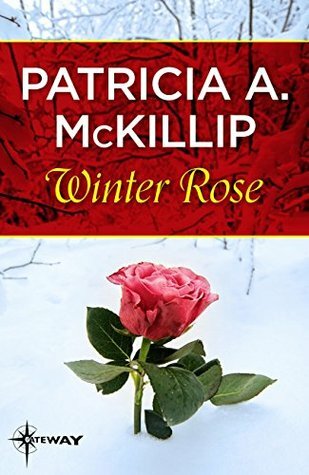 Oddly enough, although I understood it better, I think I liked it less than Winter Rose. Some of the beauty and mystery was missing — which in a way was part of the point, but still. And the main character’s grandmother is just stunningly unable to see what’s going on under her nose for someone who is meant to be stubborn and shrewd. Love blinds us all, I guess, but it still felt odd. The fae stuff in this book is perhaps more attractive than in Winter Rose, though; we get to see the gentler side, the enticing side, and more nuance. Still, I’m not greatly enamoured. I’ve actually reviewed this here before, and in fact read it twice before. 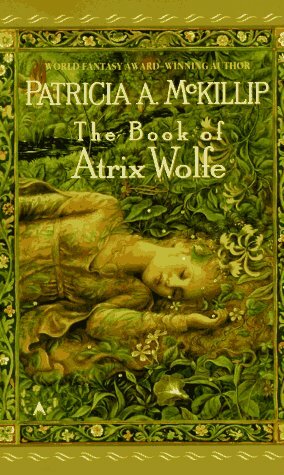 I wanted to give it another go, because I’ve been reading a couple of other Tam Lin based stories (The Perilous Gard; An Earthly Knight; just starting Pamela Dean’s Tam Lin) and because I want to read the sequel to this, Solstice Wood. And because I’m stubborn as heck and I didn’t ‘get it’, and I don’t like that feeling. Well, I still didn’t really ‘get’ it, though I was more content to go with the dreamlike logic and just enjoy the lyrical writing and the scent-touch-taste of the way McKillip writes. It still reminds me of ‘Goblin Market’ as much as ‘Tam Lin’, given the inclusion of the character of Laurel, who wastes away waiting for Tam Lin. There’s so much to love in this book — the way Perrin is portrayed, solid and real and true; Laurel and Rois’ love for each other and their father, and his for them; the beautiful, beautiful writing. But I still don’t get it. I feel like I should be rating it more highly, liking it better, and obviously there’s something that keeps me trying to come back to it. But nope. Still not the right time, perhaps? 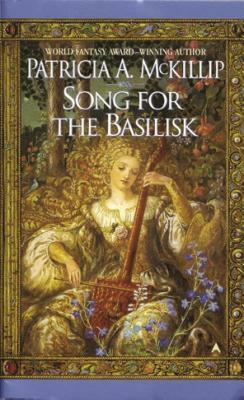 I’ve mentioned before that I had a somewhat difficult time getting into Patricia McKillip’s books, and Song for the Basilisk is definitely one of the more difficult ones, in my opinion. I wouldn’t suggest starting with it. It contains many characteristics that the other books share — Ombria in Shadow, the tyrant ruling the city; The Bards of Bone Plain, the bards of Luly; the lyrical, reflective prose. 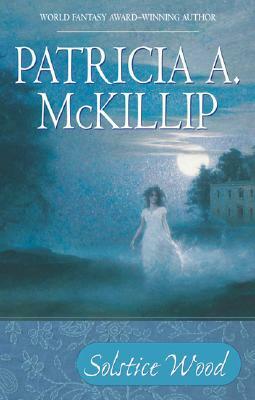 I have to be in the right mood to read McKillip’s books, I think: The Changeling Sea was the gateway for me, where I really learnt to appreciate her work. Song for the Basilisk is rather more abstruse than that one, though it is — as you might expect if you like McKillip’s work — beautiful and entirely worth spending the time with, at least by my lights. Somebody wrote a review which makes a comparison between this and Guy Gavriel Kay’s Tigana, and that’s apt: there are similar themes and even images. I disagree that Song for the Basilisk goes deeper than Tigana, though: they’re different in that in Basilisk the vendetta is more targeted and personal, against a single family, rather than erasing the culture and identity of a whole people. Your response may vary depending on personal taste and experience, but for me the denial of Tigana as a wellspring for identity hits pretty hard — harder than “tyrant hated powerful family because power”, which is more what I got from Basilisk. Some things about this book I was unsure about: I’m used to feeling some ambivalence about McKillip’s characters, but Luna Pellior threw me for a loop. I was sort of expecting the ending, but I find it difficult to connect the dots. There’s a kind of opaqueness about the book, about Luna, that made it difficult to see things from her perspective — or anyone’s. I felt like more of an observer than a participant. If you already know what you’re getting into with McKillip’s work, I don’t think this will disappoint. It wouldn’t be my choice of starting point, though. The formatting of this was less than ideal on my Kindle, since I think it’s a proofing copy and thus there were numbers all through the document, and bizarre sections with no paragraph breaks, and all sorts of fun things like that. I did read some of it on my computer, which was better in one way, but not the most comfortable way to read either. In a way, I wish I hadn’t read this now, despite my eagerness for it — there’s a thread of McKillip’s usual enchantment and strangeness here, but I’m pretty sure that some of the odd moments were just caused by the formatting. Not really experienced as the author intended, I think. I don’t know to what extent I’m typical of the audience for this book. To me, the Arthurian influence was immediately apparent — the Fisher King, some of the names (Vivienne? ), the relationship between Sir Leith and Queen Ginevra, the king Arden. The strange ceremony, the issue of someone outside the ritual needing to ask, the grail-like object. Pierce’s story is almost like that of Percival, and yet not always, not quite. At least, not a version I know. 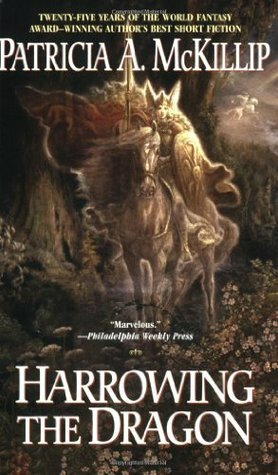 It felt all askew, because I know the Arthurian versions so well, and particularly because I really don’t like the Percival story, in general. I don’t like it when he’s Welsh and ignorant, and yet at the same time I don’t like his Welsh background being ignored either. The grail story just loses me entirely, in general, even when it’s closer to the Welsh sources than to Chrétien’s. On the other hand, I love McKillip’s work a lot. She does magic and enchantment so well, and writes so beautifully. That is certainly in evidence here as much as ever. She makes something interesting and different of the old stories, of the grail-seeking. I felt like the Severluna/Calluna stuff never quite worked itself out fully — it seemed a fairly typical god/goddess dichotomy/conflict, complete with god-obsessed young men making nuisances of themselves to older/feminine magics. I wanted more, something different. Stranger? Stranger is a good word for what McKillip usually manages. The Stillwater character and what he did was interesting — very classically mythological, and yet fresh too. It took me some time to fit that into the plot, because it’s not an intrinsic part of the Arthurian story — perhaps one reason why someone less familiar with the legends might enjoy this more. I always find myself playing puzzle pieces with Arthurian stories, or even ones that’re just inspired by Arthuriana. I don’t know how to assess it, at the end of all this. For holding me rapt despite misgivings, I think I’m going to go ahead and give it four stars, “really liked it”. In an ambivalent, intrigued sort of way. Apparently Moon-Flash actually has a sequel, but I’m not that interested in it. It’s interesting — probably a novella in length, and written with McKillip’s usual lyricism and style — but I felt it was whole enough in itself, and I’m not interested enough in the world or characters to keep following it. Their trip down the river leads to an almost inevitable conclusion, but the story manages to say something about myth and belief, about the way different cultures interpret things, about relationships between cultures. It’s a little Ursula Le Guin-ish, in that sense, now that I think about it: I could picture her writing a very similar story. It’s actually not as fantastical as the other works by McKillip I’ve read before, so that makes it interesting too in comparison to the magic of her other work. At the same time, that’s here too, under the surface, in the myth-making.